You’ve got big career goals and even bigger potential. You’ve tasted success, but you’re hungry for more. You’re ready for less talk and more action. You’re longing to connect with like-minded women who’ll support, challenge and inspire you – plus celebrate and share your success. Well, my friend, you’ve found your people. 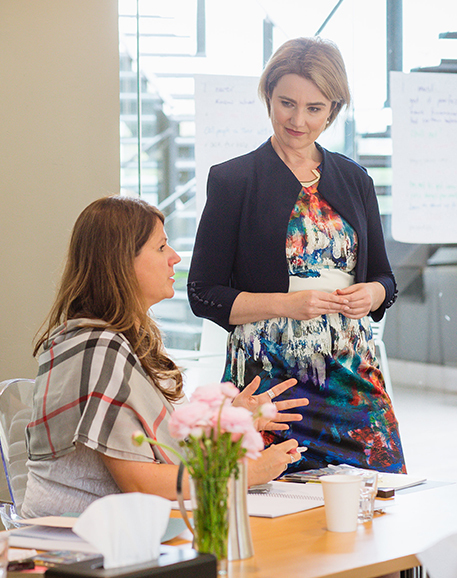 The Leadership Connection is an exclusive program for women leaders who are ready to bust through their personal plateaus and achieve their ultimate career goals. 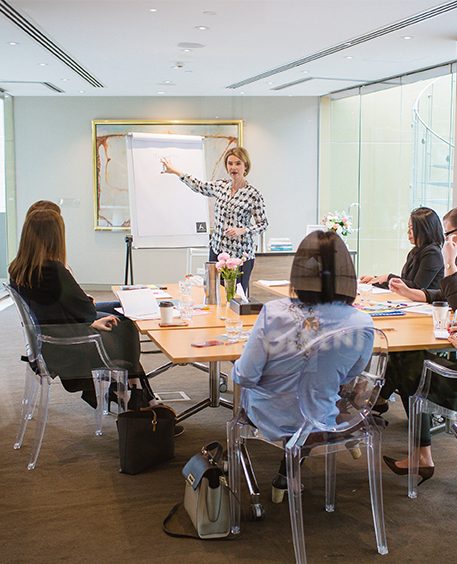 Run by acclaimed women’s leadership coach, Jane Benston, The Leadership Connection combines in person workshops with 1:1, group and online coaching to help smart, professional women take the next big step in their career. This transformative program is about gaining clarity, setting goals and making things happen, so you can love your career and live your purpose. 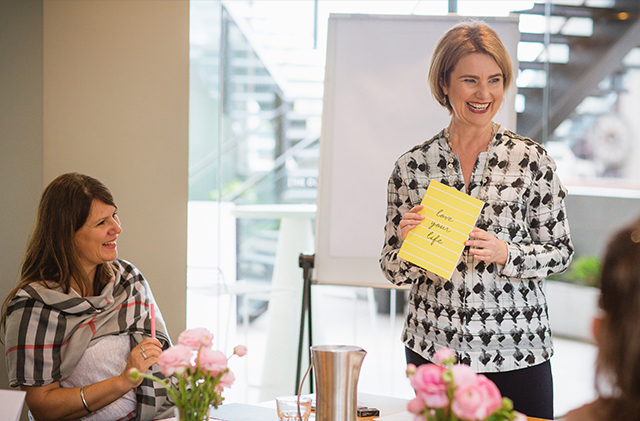 Over the course of 6 inspiring months, you’ll make failproof plans, take powerful action and implement proven strategies to take your leadership career to a whole new level. From landing your dream role in senior management, to supercharging your salary, or becoming an influencer in your industry – it’s all possible with The Leadership Connection. The best part is, you’ll be in great company – surrounded by women who share your ambition, commitment and enthusiasm, and who believe the sky’s the limit for career success. Not only will you receive the skills, support and accountability you need to reach your goals, you’ll make connections that last a lifetime. If you want to create lasting change, you need more than a monthly networking lunch or the occasional motivational seminar. You need a safe space where you can have ongoing conversations, voice fears and dreams, and be vulnerable among women who really get you. A space where you can go deep, not just scratch the surface. In The Leadership Connection, you’ll be surrounded by women who lift you up, encourage you to strive, and support you in being authentically you. Not just on the amazing days but on the challenging days and all the days in between. 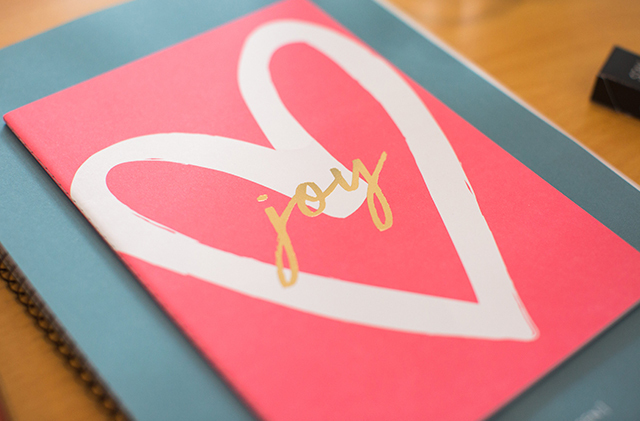 Whether you want to celebrate, share, confide or seek advice… you’ll find what you need in this inspiring inner circle. 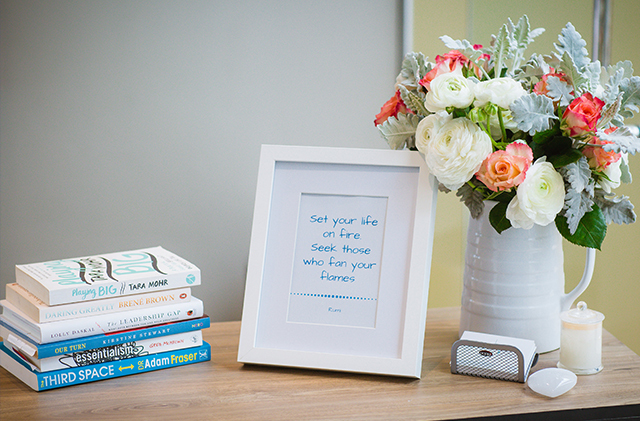 With like-minded women to shine a light on your brilliance, you’ll see what’s truly possible. Magnify your success, share your experience, and make friendships that could last a lifetime. run by The Best, for The Best and with The Best. Before I started working with Jane I knew that I was in a really uncomfortable space. I was angry, disappointed and mistrusting of the people around me. Despite early reservations, Jane held my hand and helped me to see my true value. The unwavering trust I experienced from Jane and the team of fabulous ladies in The Leadership Connection, has set the foundation for a super exciting year, full of possibilities. THANK YOU for letting me into this inner circle to experience such love, support and unwavering belief in what we can all achieve. When I joined The Leadership Connection, I wasn’t unhappy in my role, but I wasn’t entirely satisfied either. 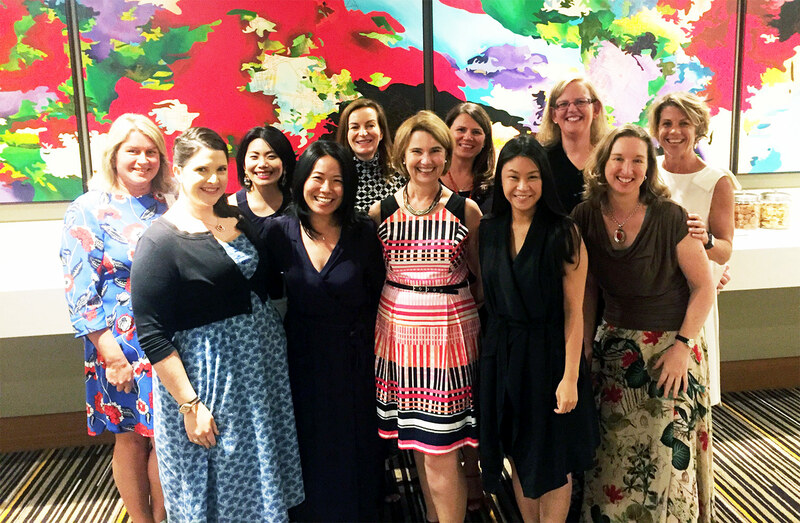 At first I was hesitant to join an all-female leadership program, however I’m extremely glad I did. After figuring out the direction I wanted to take my career, Jane helped me to position myself as someone with the capabilities and desire to take on a higher level of responsibility. I learnt a lot and would not have guessed how far my career would have progressed in less than a year! I have now taken on the role as Managing Director of our brand new New Zealand office. I was feeling stuck and underutilized in my role and wanted to use my skills and passion at work in a different way. Joining The Leadership Connection was the perfect commitment to myself to ensure I carved out the time to create the change I wanted. The regular check in’s, webinars, coaching and face to face sessions, along with the other amazing women rooting for me, kept me accountable and helped to measure my progress forwards. I’ve now achieved my goal of working for myself because of the program, and I did it in less time than I thought possible. With clarity of who I am and my unique abilities came the confidence to make a plan and go for it! I haven't looked back and I'm really happy! It’s a fabulous journey. Who is The Leadership Connection for? The Leadership Connection attracts women from a diverse range of industries including Marketing, Finance, IT, Sales, HR, Project Management, Health Care and NFP, who all share a common goal – to reach their highest potential, both personally and professionally. The Leadership Connection attracts women from a diverse range of industries including Marketing, Finance, IT, Sales, HR, Project Management, Health Care and NFP, who all share a common goal, to reach their highest potential, both personally and professionally. intensive program that gets outstanding results – but it’s not for everyone. Ready to fast-track your career in fabulous company? Magic happens when women come together, but the group dynamic must be on-point. To ensure every member gets maximum value and makes lasting connections, The Leadership Connection is by application only. If this program sounds right for you, book your complimentary phone consultation to find out more. Hi, I’m Jane Benston. 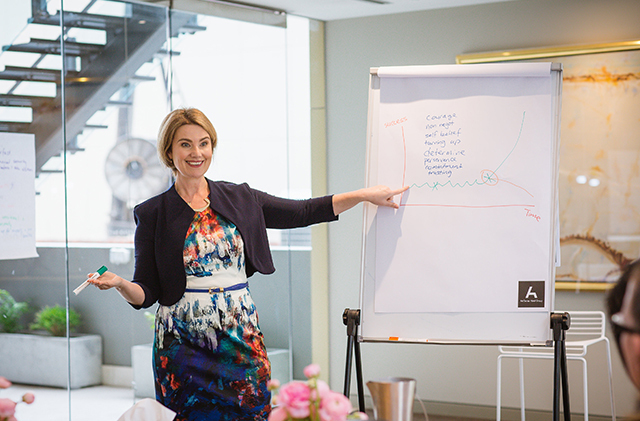 I’m a women’s leadership coach, speaker and trainer – and a passionate advocate for high performing, professional women. 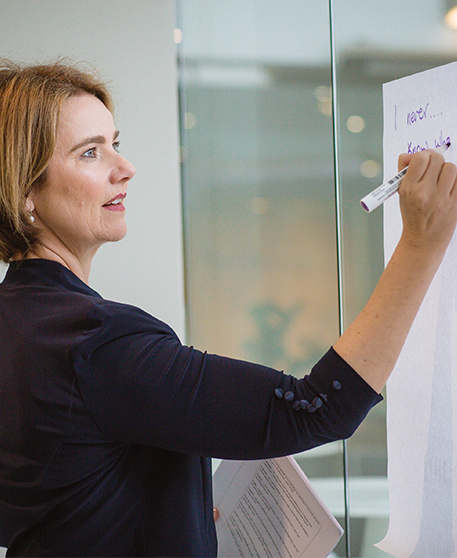 With over 15 years’ experience working in leadership roles, plus 6 years working with corporate leadership teams, I understand the unique skills women bring to the decision-making table. I believe all businesses benefit from strong, female leadership, and I’m passionate about bridging the gap in corporate leadership. I love helping driven women unlock their limitless potential – both personally and professionally – and I’ve dedicated my career to doing just that. My approach is fresh, warm and energetic, and I believe in making every coaching experience fun and fabulous. I’ll work with you to get the results you deserve – and be there to celebrate with a glass of bubbles. If you want to play a bigger game, you’ve found the right coach. Life is short, and there’s nothing I hate more than seeing smart, capable women stuck in roles that no longer challenge them – dreaming and talking about making a change, but never actually doing it. The Leadership Connection was created to help driven women, just like you, take the next big step in their career. It’s about maximising your potential and living life on purpose. There are a million reasons why you could put your career dreams on hold, or settle for the status quo while you wait for “the perfect moment”. The problem is there is no perfect moment. The right time is now. A joy-filled, passion-fuelled career lies ahead of you and once you take the leap, you’ll never look back. And guess what? Not one of them has said ‘I wish I waited’. Now is the time. Say ‘YES’ to you. 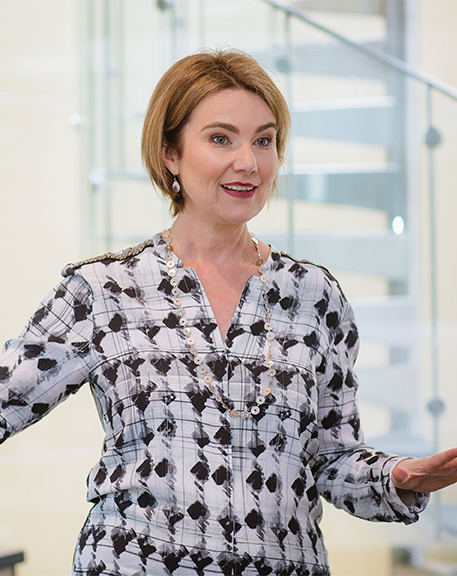 The Leadership Connection covers everything you need to break through the glass ceiling – no matter how high you want to go. From indispensable business skills to the all-important success mindset, I teach you to tap into your unique power as a feminine leader and achieve results you only dreamed possible. Success is a certainty, not a possibility. The Sapphire package is for women who want a game-changing experience, but at a more affordable price point. The Diamond package is a decadent, all-inclusive program, designed to create maximum change and impact. Numbers for both the Diamond package and the Sapphire package are strictly limited and will sell out. Book your free consultation call to find out if The Leadership Connection is right for you. The Leadership Connection is 6-month program, with the option to stay connected for as long as you like. Leadership Connection stay in the program for at least 12 months. 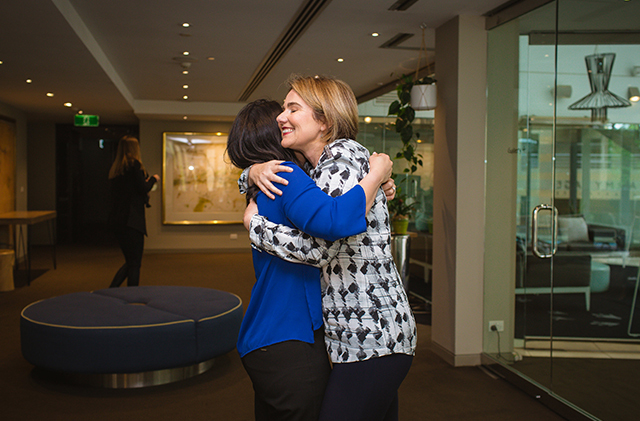 Working with Jane has been a professional, emotional and financial investment in myself that has laid a foundation for my long term career growth. Jane was able to pinpoint my areas of development and provide me with achievable guidance and tools that have made a noticeable shift in my behaviour, approach and ultimate personal and professional success. I have loved every moment of the journey and sincerely look forward to working with Jane again. Jane was an amazing sounding board for new ideas and to challenge status quo. She was supportive and energetic, provided constructive feedback and positive in her approach, while at the same time challenging and left me with homework to develop myself professionally and personally. I liked the structured approach which was also interjected with fun, innovative conversations and thought provoking ideas to stretch me further. Jane has a beautiful and unique set of skills. She has genuine empathy, an ability to see complex situations from different perspectives and is prepared to challenge and ask the tough questions. Jane backs up her coaching with evidence, is generous in sharing resources and was a total champion for me through change and growth. I wholeheartedly recommend Jane's workshops and coaching. Prepare to work hard and reap the rewards! Opportunity is Knocking – Will You Answer? Have you noticed the change that’s been brewing? In the last few years, there’s been an increase in support for talented women leaders – and there’s huge opportunity on the horizon. Businesses, both large and small, are finally understanding the benefits women bring to the leadership table, and they’re making real efforts to bridge the gap. Women in my inner circle are being offered seriously impressive promotions and significant pay rises. 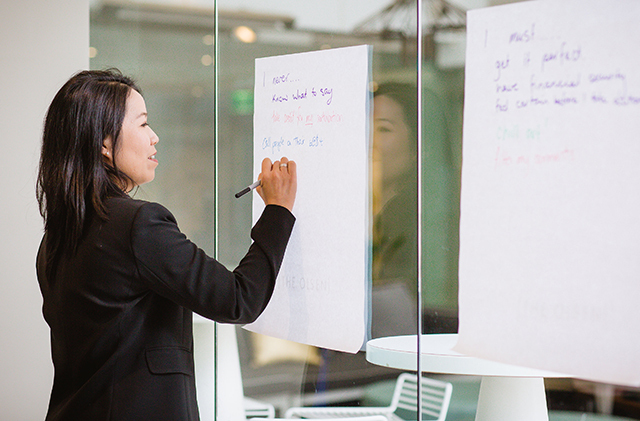 Women leaders are in demand like never before. YOU’RE in demand like never before. So, will you seize the moment? Are you ready to step up and embrace the endless possibilities for a rewarding, invigorating and meaningful career? Are you committed to doing the work, taking the leap, and trusting the process? To say I’m excited about how The Leadership Connection can transform your career is an understatement – but I’m not saying it’s going to be easy. The program is by application only, and there’s a reason why only the most committed, passionate, and high performing women are invited to take part. Real change takes time, effort and courage – but the results are guaranteed. If you do the work, you’ll reap the rewards. This program works as hard as you do. How do I know if The Leadership Connection is right for me? candidate. Book a complimentary consultation call to find out more. The Leadership Connection will help you take the next big step in your career, whatever that means to you. Past participants have achieved extraordinary results, from scoring epic pay rises to senior leadership roles. Like any program, your results will depend on your individual goals, your commitment to the program, and how well you harness the power of the group. The Leadership Connection has potential to transform not only your career, but also your life. We’ll work together to overcome hidden roadblocks and deliver on your untapped potential, both personally and professionally. Plus, what could be more empowering than reaching your ultimate career goal? How many women will be in the program? Places for the Diamond package are strictly limited to 12, due to the high level of 1:1 coaching. Places for the Sapphire package are also restricted to ensure every woman receives ample support within a close-knit group. I’m already incredibly busy. How much time do I need to commit? At a minimum, you’ll need to commit 2 hours each month to attend the monthly private coaching and training sessions. You’ll also need to book the quarterly workshops into your diary straight away. Beyond that, the hours required will depend on your individual goals and how fast you want to achieve them. I suggest allowing at least 4 hours each month for action and implementation. I don’t have a clue where my career is heading. Can you help me? The Leadership Connection is best suited to women leaders who know where they want to go, but need help getting there sooner. If you’re feeling really lost or confused about your next move, consider starting with the one-day Career by Design workshop. The Leadership Connection is an investment that will give you immeasurable returns and pay for itself many times over. The program is offered at two different price points – Diamond and Sapphire. Book your free phone consultation for more info on program pricing. Is travel and accommodation for the quarterly workshops included? No. If you need to travel to the quarterly workshops, flights and accommodation will be at your own expense. This program sounds perfect for me. Where do I sign up? Acceptance into The Leadership Connection is by application only. Book your free phone consultation to find out if the program is suitable for you. If you’re the right fit, I’ll let you know how to secure your place. Let’s be honest. You’re a smart, ambitious, successful woman – and you’ve already got an impressive resume. The sky’s the limit for what you can achieve, but will you really reach it alone? Think about where you want to be six months from now? Do you have the courage and confidence to step alone into the unknown? Do you have accountability and support to strive outside your comfort zone? Most importantly, do you have the time to spare? At your level, success doesn’t happen by accident. Even if you could reach your goal alone, think about how long it could take. Don’t waste months, years or even decades waiting for your dreams to happen. The Leadership Connection will get you to where you want to go – faster, easier, and in fabulous company. If you’re ready for a life-changing, ladder climbing career experience where results are guaranteed, book your free consultation below. Book your complimentary, obligation-free call to learn more about The Leadership Connection. This is your chance to ask questions, share your goals, and find out if this program is right for you. Places are strictly limited and will sell out. Book your call today, and get the ball rolling on your best and biggest career move yet. Copyright © 2018 Jane Benston. All Rights Reserved.